Back in the ’70s, the Smouses owned their first logging company. But when the market began to sour, they decided to minimize their family’s financial risk by shutting down and working for other firms. 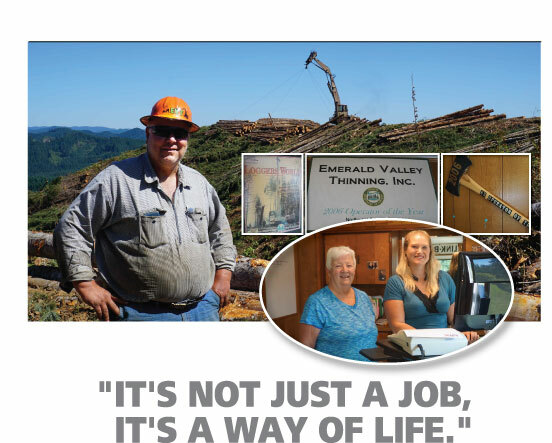 In 1995, when new opportunities became available, the Smouses and business partner Jerry Sedlak, founded Emerald Valley Thinning in Philomath. “Jerry and I had like-minded goals and complementary skills,” remembers Tracy. The company thrived. But just eight years later tragedy struck when Jerry Sedlak lost his life in a logging accident. It was difficult, but Tracy and Laurie had no choice but to continue operating the company on their own. These days Tracy and Laurie have a new business partner, their son Travis. Well into its third decade of operations, Emerald Valley Thinning has broadened its capabilities to include all types of second growth timber harvesting, from ground-based thinnings to cable-logging final harvests. Travis manages the thinning operations, dealing with customers, negotiating contracts, and running the thinning side. Tracy generally manages Emerald Valley’s cable logging side and a yoder side. In a typical year the company will harvest more than 20 million board feet of lumber. For many years Laurie managed Emerald Valley Thinning’s business operations on her own. However for the past four years, Laurie has gradually passed on most of those responsibilities to the company’s office manager, Jessica Yandell. A working mother, Jessica appreciates the company’s “family atmosphere” and the flexibility she has to balance her job and parental responsibilities. Both Jessica and her husband, Michael, who also works for the company, are products of the Philomath High School Forestry Program, as are several other of Emerald Valley Thinning’s twenty employees. 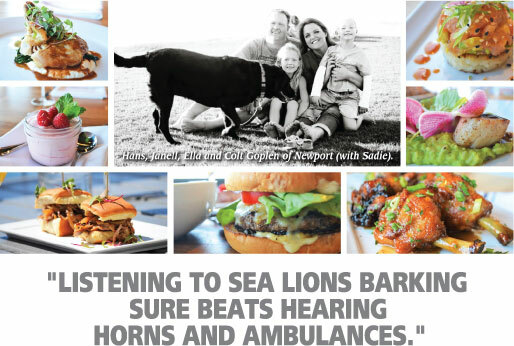 “Keeping a good crew,” says Tracy, “is the secret to success, yet always remains our biggest hurdle. We pay a good wage, offer very good benefits – including paid medical insurance and a 401K retirement plan – but it is hard work and not everyone wants that these days. Show up five days a week and we’ll get along,” he says with a smile. Once the company finds good employees, they tend to keep them. Three members of the current crew have been with Emerald Valley for more than 20 years. Over the years Emerald Valley Thinning has been honored with several industry awards including 2006 Northwest Forest Practices Operator of the Year and 2007 Logging Business of the Year. Eventually, Tracy and Laurie will retire and pass the business on to Travis. The goal is to keep the company local and provide long-term jobs for crew members and hopefully their families.